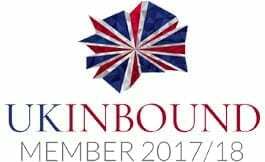 Shakespeare’s Rose Theatre, Europe’s first ever pop-up Shakespearean Theatre, today announces the creative team for its Blenheim Palace nine-week season, following a hugely successful inaugural run at its original site in York in 2018. 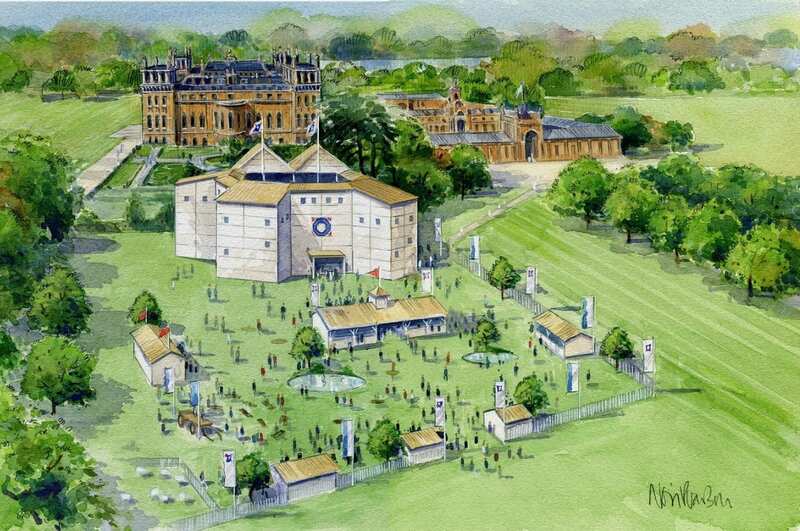 The 13-sided Elizabethan-style playhouse – complete with an Elizabethan village – will be constructed over a three-week period in the glorious grounds of ‘Britain’s Greatest Palace’ where, in its Oxfordshire home, it will run from 8 July until 7 September, performing four of Shakespeare’s greatest plays. The York season will return on 25th June and run until 1st September. The Blenheim Palace company will be reviving the productions of A Midsummer Night’s Dream and Macbeth as experienced in York last year as well as creating exciting new productions of Romeo & Juliet and Richard III. In York, SHAKESPEARE’S ROSE THEATRE will be performing Hamlet, Henry V, The Tempest and Twelfth Night. The plays have been selected from across the genres, offering something for everyone, and will be performed in repertory by two companies of actors based at each location, with casting to be announced. Damian Cruden returns to SHAKESPEARE’S ROSE THEATRE, having directed Macbeth last year in York. This year he will serve as overall artistic director for both companies. Tom Wright will be Associate Director for Macbeth and A Midsummer Night’s Dream, and Juliet Forster, who was the original director of A Midsummer Night’s Dream last year, will turn her skills to directing Romeo & Juliet this year. Amy Yardley will be associate scenic designer for both Macbeth and A Midsummer Night’s Dream, and scenic designer for Romeo & Juliet. Sarah Mercade will be costume designer for Macbeth, A Midsummer Night’s Dream and Romeo & Juliet. Lucy Pitman-Wallace will direct Richard III, which will have scenic and costume design by Adam Nee. Dominic Hare, Chief Executive of Blenheim Palace, said “When I visited SHAKESPEARE’S ROSE THEATRE in York last summer I was absolutely blown away, not only by the quality of the whole event, even down to the vintage carts and wagons, but by the extraordinary experience of seeing Shakespeare performed in such an intimate setting. It created the most astonishing connection between audience and actors, and produced some truly spine-tingling moments. Monday 8 July – Saturday 7 September 2019. Calls cost up to 13p per minute plus your phone company’s access charge. All seats in SHAKESPEARE’S ROSE THEATRE are the same – comfortably cushioned and backed, with plenty of leg room. Groundling tickets in the courtyard are open-air, all other seats are under cover. Visit blenheimpalace.com/shakespearesRT for seating plan and further details. Wheelchairs – Courtyard £15.00, Premium £70.00. Each wheelchair space includes carer seat free of charge. Children (16 and under) £3 off all seats, £2 off Groundlings. Schools – Eight morning performances have been set aside exclusively for schools at £10 per ticket anywhere in the theatre. 1 teacher goes free with every 10 children. Tickets available through SEE Tickets on 0800 852 7244 or by emailing education@seetickets.com. There is up to 15% off when purchasing ‘combined tickets’. Prices inclusive of booking fee. All transactions are subject to a single charge of £2 for print at home tickets and collections or £2.50 for postal orders.